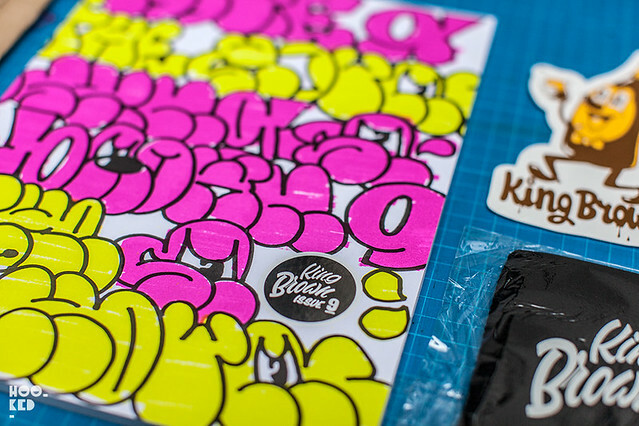 Hookedblog have been fans of King Brown magazine for some time now and their latest issue just landed on our doorstep. 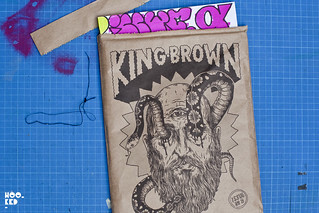 King Brown is a cross between a book, a magazine and an art zine, and alongside VNA Magazine it's one of the few printed publications that we pick up on a regular basis. 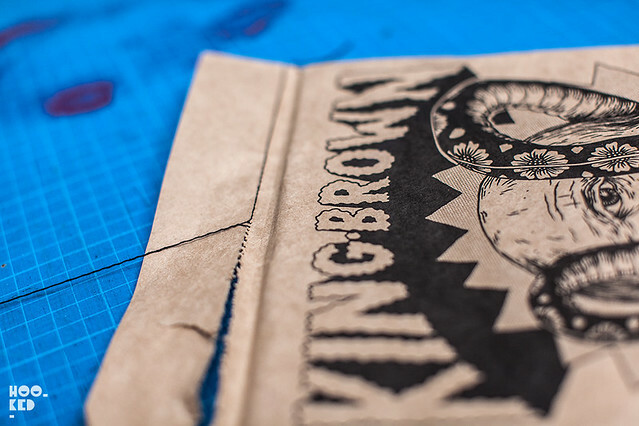 For those of you not familiar with King Brown each issue is handcrafted, delivered inside a screen printed brown bag which is designed and curated by some of the world's leading innovators of photography, illustration and urban and skateboard art and design. The brand new issue is co-curated with help from the The Hours based in Sydney and as mentioned each issue is wrapped in a screen printed bag. 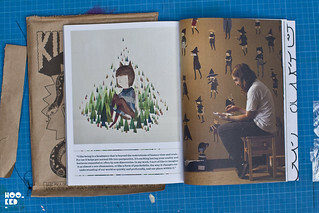 Issue nine is a double sided edition with artwork by Ed Templeton on one side & UNGA from Broken Fingaz on the other which is then stitched closed. We were tempted to order two copies of the release and keep one unopened as you almost don't want to tear the sealed bag but there is something quite satisfying about ripping open the package that has been stitched closed and as you can see from the photos we gave in and opened up our copy! 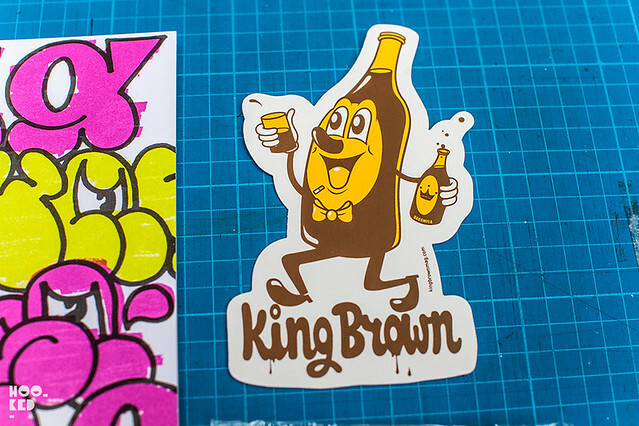 Inside the package we found a Kingbrown vinyl sticker from Dabs Myla, and a Kingbrown x Ironlak stubby holder (apparently Kingbrown is West Australian slang for a longneck beer!). 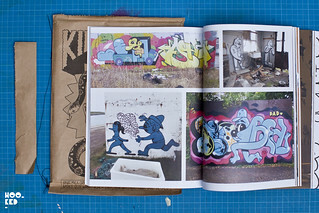 The issue itself features some great interviews with Ghostpatrol, Unga from Broken Fingaz, Nychos, Dabs Myla, Huskmitnavn, Numskull, Vans the Omega and Ed Templeton to name a few. Another cracking issue from the the Kingbrown gang. 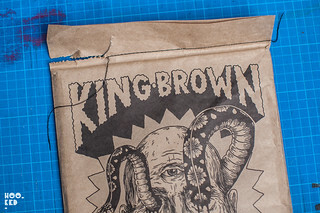 Pick yourself up copy of King Brown Magazine online from their shop here. 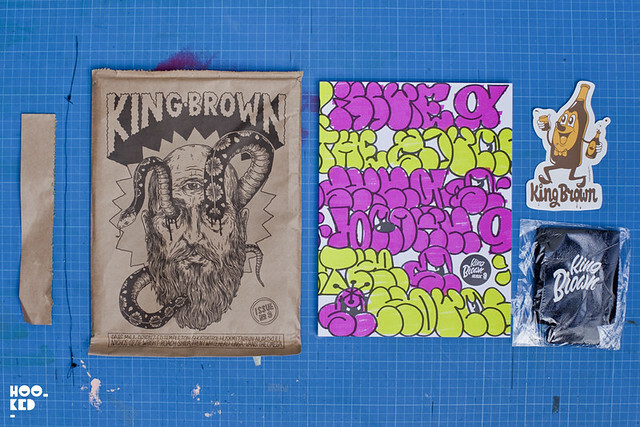 There are also some of the their back issues available in their shop if you are new to Kingbrown!